Are we a bed and breakfast? A boutique hotel? An inn? An upscale wine and cocktail bar? A gourmet restaurant? Well, the simple answer is this: Yes. We’re a little bit of all those things combined, and that’s exactly the way we like it. This combination is just what makes us so special. The world is full of classic bed and breakfasts that are great at what they do… we’re just not one of them. When you hear the words, “Bed and Breakfast,” a certain image comes to mind, which probably includes things like lace curtains, 4-poster brass beds and floral wallpaper. While we do offer accommodations in a historic mansion and serve breakfast, we’re sometimes hesitant to call ourselves a B & B. 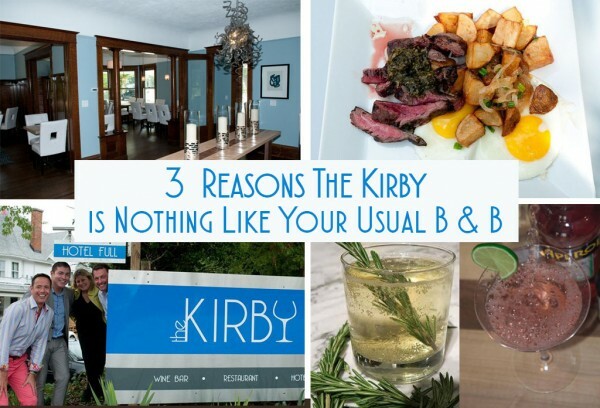 One look at our refined, modern décor, tranquil spa-inspired color scheme and boutique hotel style bathrooms and you know that The Kirby is something different. Most of the people who come to the Saugatuck-Douglas area are city folks (like us) looking for an escape from the urban hustle and bustle. But just because they’re in a small town doesn’t mean they lose their refined palate and high standards. That’s why we decided we needed our own gourmet restaurant and in-house chef cooking up something special. Our diverse, modern menu includes bountiful brunch options, cheese & charcuterie, scrumptious small plates, thoughtful entrees and heavenly desserts. We pride ourselves on featuring both local and imported ingredients in unexpected ways. Said simply, we offer upscale cuisine, the likes of which you’d find in the big city, right here in Douglas. So, you can leave the urban chaos behind while still enjoying the quality and distinction of a cosmopolitan menu. We go to great lengths to hand-pick unusual wines, craft beers and artisanal spirits that excite us. Why? Because we don’t just want to serve something you like, but give you a memorable tasting and educational experience. And it starts as soon as you arrive – you’ll be greeted with a wine tasting and food pairing to kick your stay off the right way. And when you drop in to J. Paul’s, you can peruse our extensive list of wine, beer and spirits as you discuss your personal preferences with our sommelier, who will delight in exploring the options with you to help you make the right choice. By the time you leave us, we hope you’ll have expanded your knowledge, tried something new and adopted a few new favorites. Here at The Kirby, we take service and hospitality seriously. We want you to feel as comfortable as you would in your own home while also enjoying the extras you’d expect in a luxury accommodation. We’ve joined together the personal attention and homey feel of a small B & B with the sophisticated feel of a glamorous boutique hotel, and we think you’ll like the results. 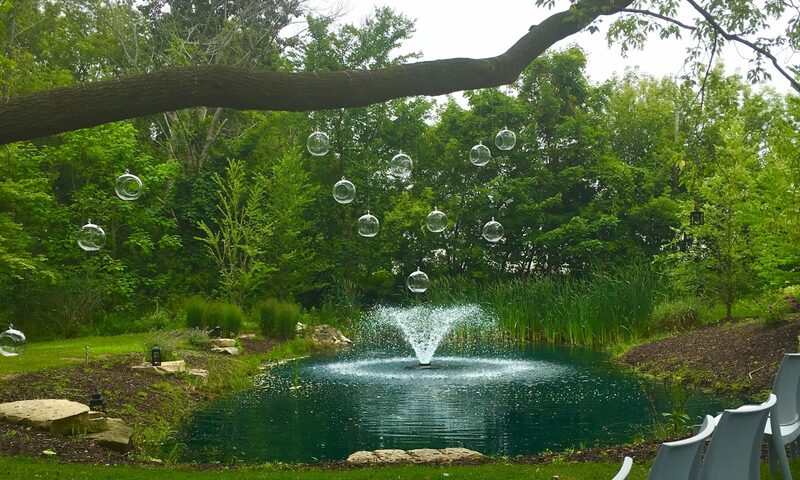 Give us a call (269-857-5472) or book online today to see what we mean.